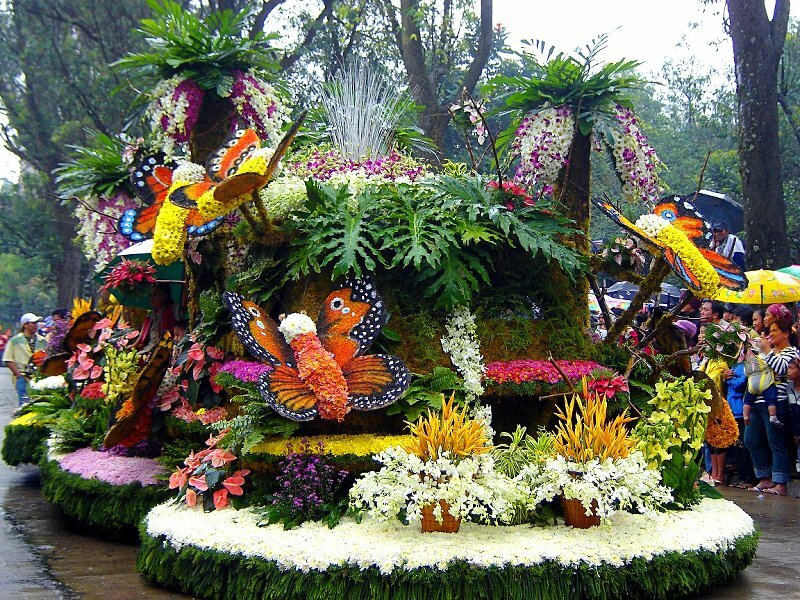 Watch the GMA News Online's livestream replay of the colorful festivities of Panagbenga Festival 2012 (Flower Festival) on February 26 in Baguio City on your computer or mobile device. This YouTube live streaming video replay for the special coverage of the Panagbenga Festival 2012 is courtesy of GMA News Online. Click "Play" button to start watching. On February 1, from 4 a.m. to 1 p.m., roads from South Drive Teacher’s Camp gate to Military Cut-off rotunda to Session Road and Harrison Road will be closed to traffic for the Panagbenga 2012 opening parade. On February 25 and 26, starting at 4 a.m. to 1 p.m. roads will be closed from South Drive Teacher’s Camp gate to Military Cut-off rotunda to Lower Session Road, Session Road and Harrison Road for the Grand Street and Float Parade. On February 28 from 12 p.m. to midnight of March 6, Session Road from SM rotunda to Malcolm Square including roads and backstreets intersecting Session Road and Governor Pack road will be closed for the annual Session Road in Bloom. Loading and unloading of the passengers of Victory Liner Buses shall be at the Baguio Convention Center grounds on February 1, 26 and 27 from 5 a.m. to 12 p.m. to ensure the unobstructed use of Upper Session as assembly point of participants for the festival.